Sushi is one of my all time favourite foods, so when I heard that Yutaka had a launched a sushi kit*, I couldn't wait to try it out. 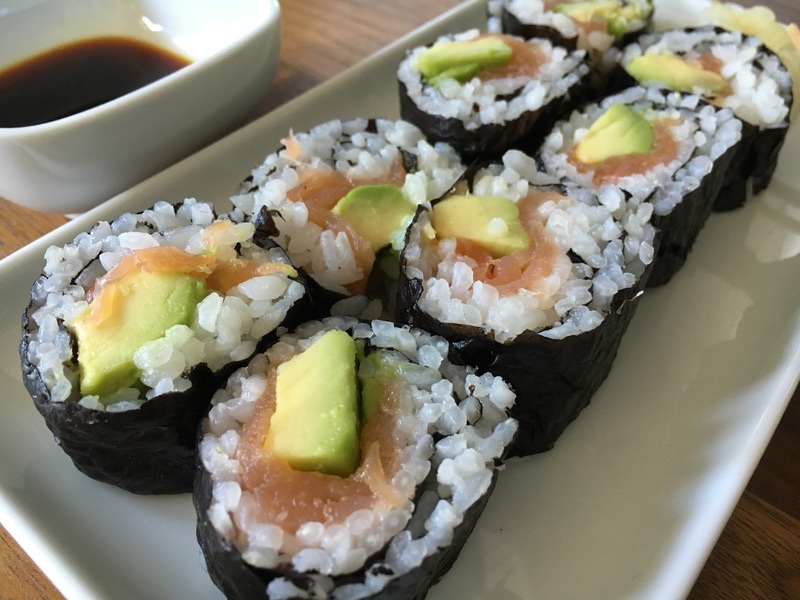 I've made sushi at home plenty of times and love the Yutaka range as you can see from my Japanese recipes shirataki noodles, konnyaku stew, edamame salad, and a cooking course with Yumi. 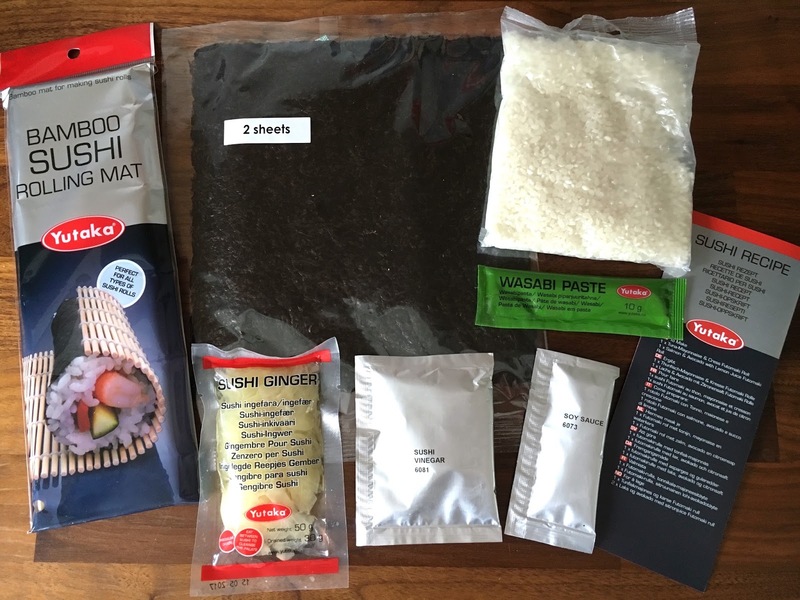 The kit comprises of a boil in the bag rice, sushi rice vinegar, nori sheets (seaweed), soya sauce, wasabi, sweet ginger, a rolling mat and set of instructions. 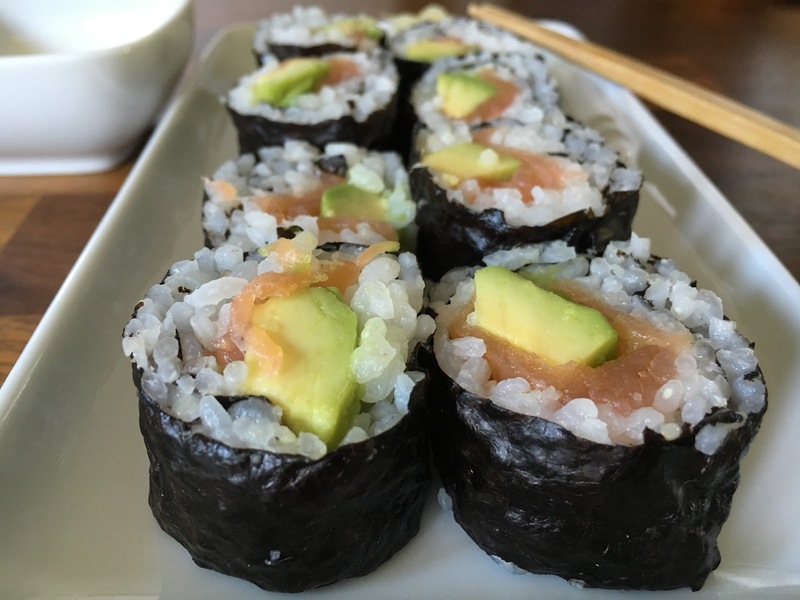 You just need to buy things like smoked salmon, avocado, crabmeat etc to stuff inside the sushi. 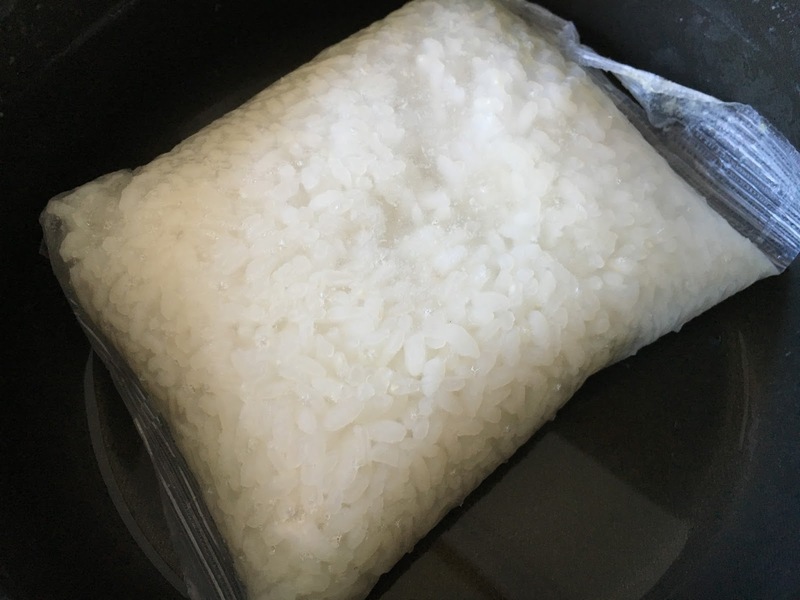 The boil in the bag rice is so easy! 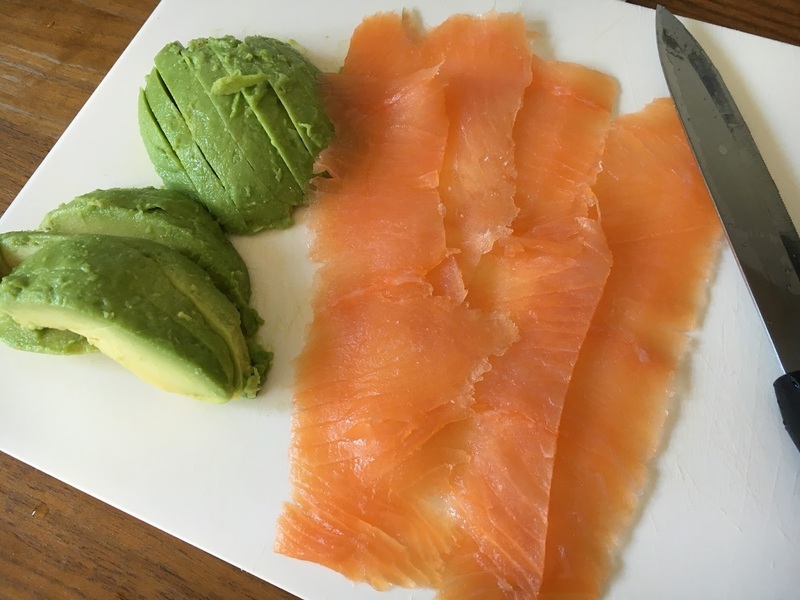 Smoked salmon and avocado fillings. 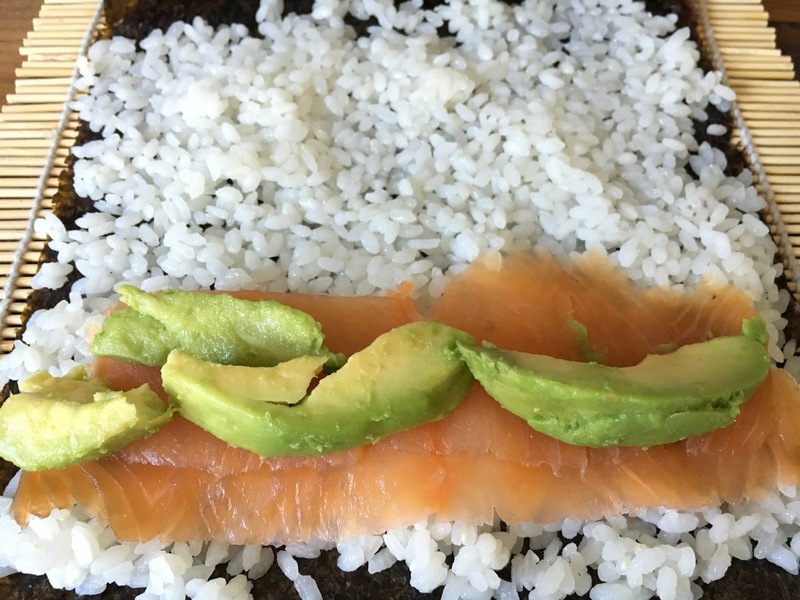 Place the nori sheet onto the bamboo roller, spread a thin layer of rice, the fillings and roll. The verdict? Unfortunately the kit did not live up to expectations. The kit was far too small for 2 people with only 2 pieces of seaweed and a small bag of rice. I could easily eat this by myself. 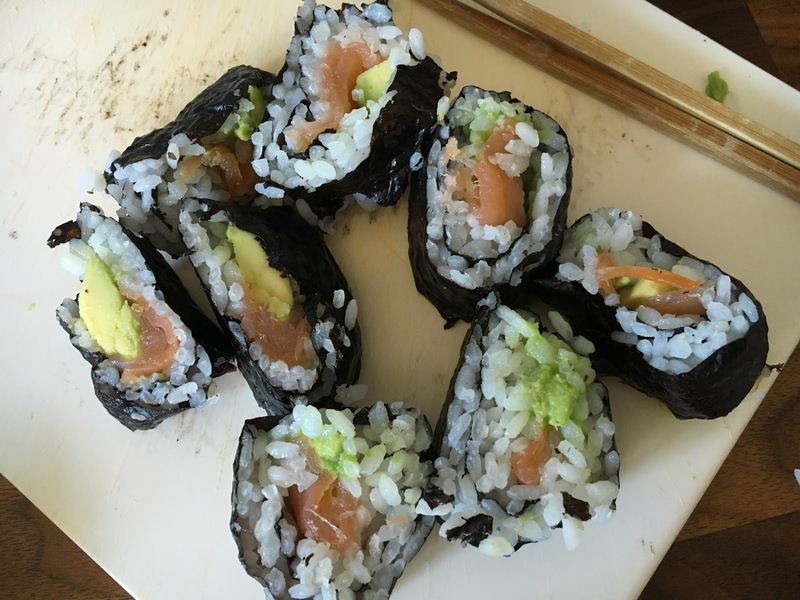 The nori sheets weren't toasted nor fragrant and they were flimsy. 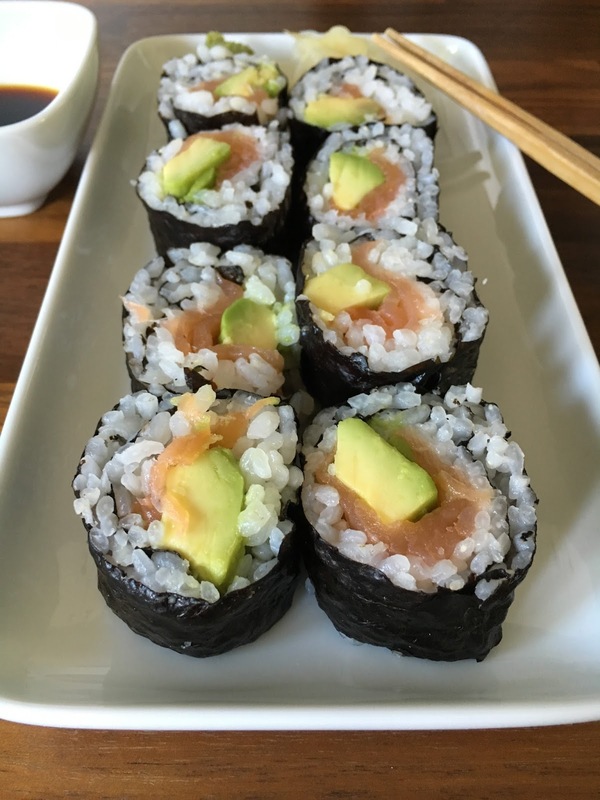 They ripped as I folded and cut them into rolls. 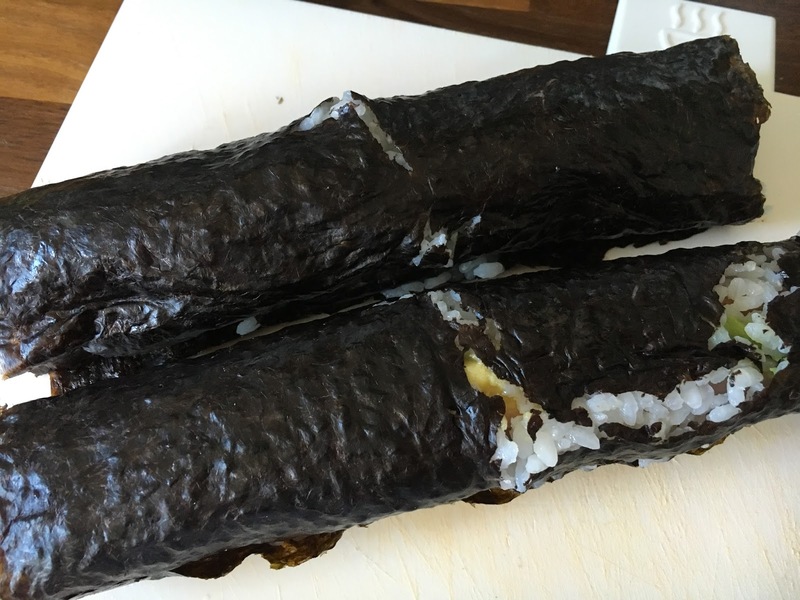 Having used good quality nori sheets from Japanese supermarkets before, I know this shouldn't happen and that I'd been using the correct pressure to roll. From the 2 rolls, I managed to salvage the better looking ones for photos, but sadly the other half just looked terrible. 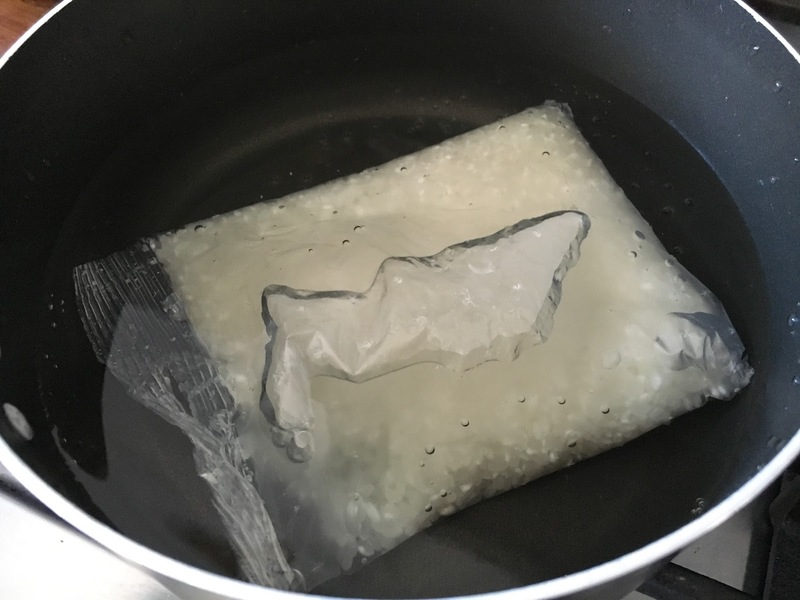 The boil in the bag rice was definitely an easy way to cook rice but because the rice has not come into contact with water, it's not sticky enough and the grains of rice had the wrong mouthfeel when eating. It just disintegrated as soon as it went in my mouth rather than stick together like it should. I thought there was quite a lot of vinegar as I poured it over the rice and upon tasting it, it was certainly a little too sour and over flavoured. 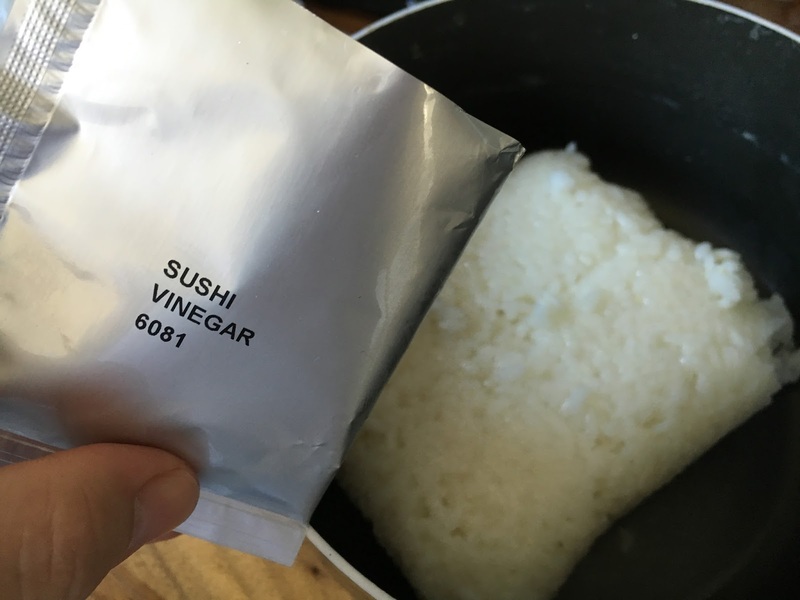 It could have done with about half the amount of sushi vinegar. 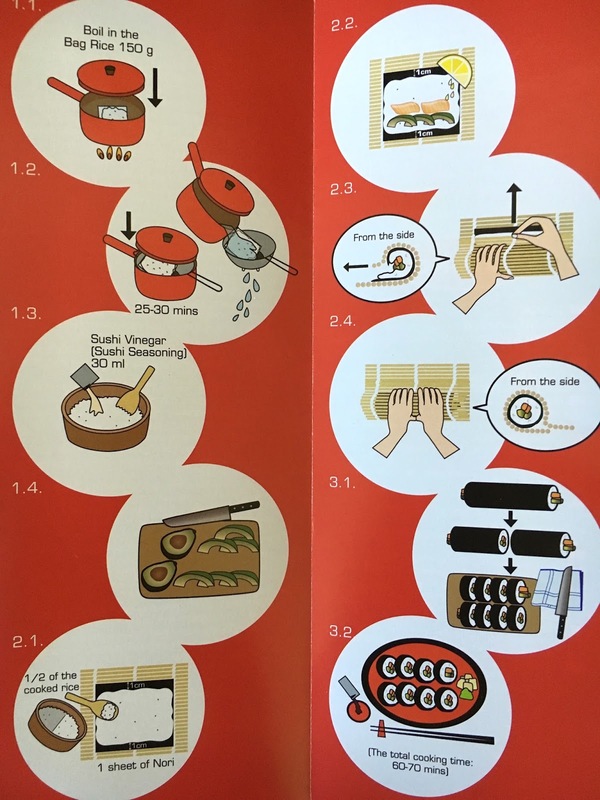 The only good thing about this kit is that the instructions were good and clearly drawn out for first timers making sushi at home, and a kit like this means you don't have to buy all the sushi ingredients separately. 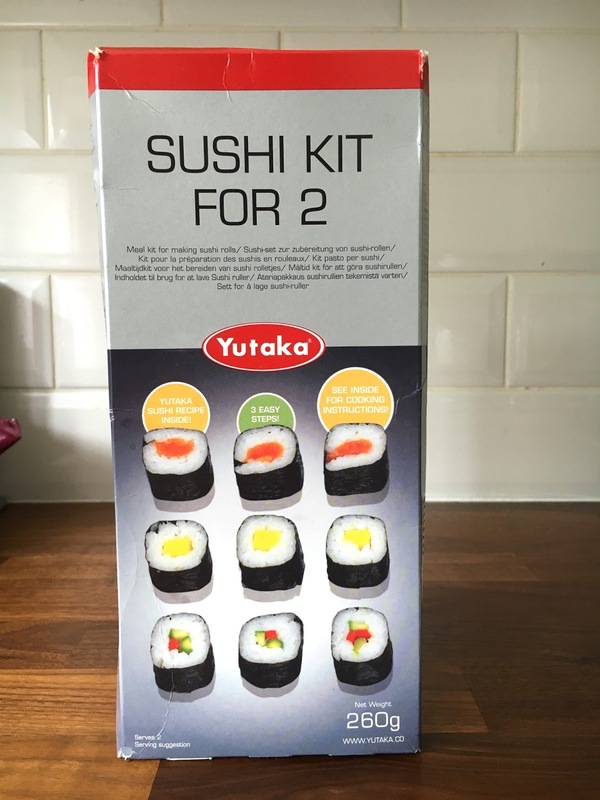 Will you be trying Yutaka's sushi kit?